April 12, 2018 (Tony Cartalucci - NEO) - The US threatened war within hours of an alleged chemical weapons attack taking place in Douma, northeast of Damascus. US accusations and threats of war come at a pivotal moment in Syria's now 7 year conflict in which the Syrian government has finally liberated all territory around the capital from foreign-sponsored militants. 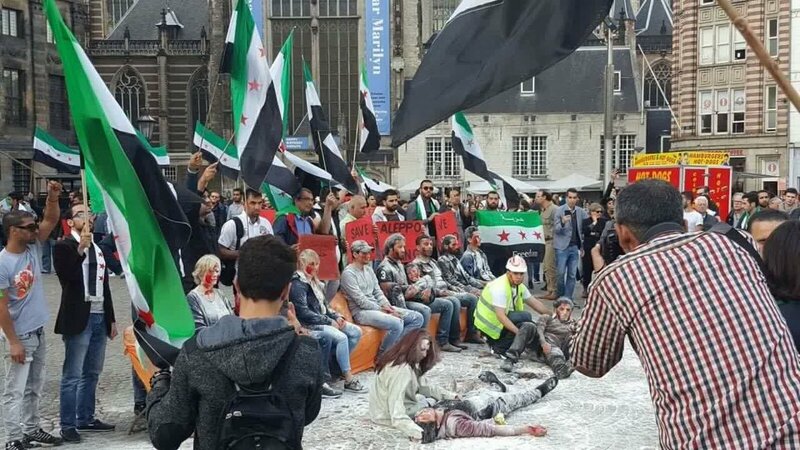 To date, all supposed evidence comes from Western-funded militants and their auxiliaries including the US-European government-funded front, the so-called "Syria Civil Defense," better known at the "White Helmets." Unverified photographs and video of apparent victims have been the sole sources cited by the US. The World Health Organization, in a recent statement attempting to bolster these accusations, claims that up to 500 patients appear to have been exposed to chemical poisoning, but would cite its "Health Cluster partners," the Daily Beast would report. However, according to WHO's own website, these partners include Médecins Sans Frontières (MSF), which in turn, according to MSF's own website trains and supports the White Helmets. MSF has repeatedly admitted throughout the Syrian conflict that it does not have a presence on the ground in conflict areas and merely provides material support to groups that do. Absent from virtually all of their videos are scenes of actual injuries - open wounds, crushed or severed limbs, burns etc. Videos also lack any context, and are often heavily edited. 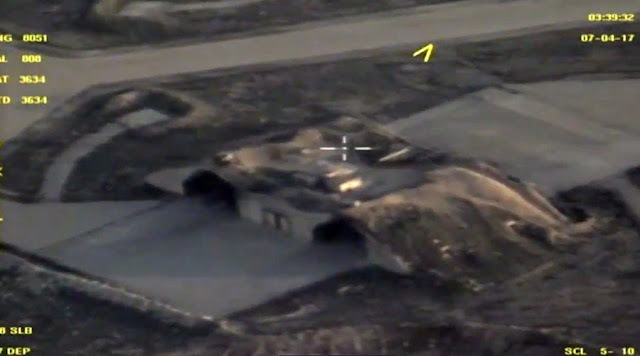 Previous allegations of the Khan Shaykhun chemical weapon attack the US cited in 2017 ahead of cruise missile strikes on Syria's Shayrat Airbase, were also baseless. Evidence instead consisted of interviews with alleged witnesses and physical evidence passed to investigators from possible suspects - since even the report itself admitted the possibility of the incident being staged to implicate the Syrian government. The report itself would also cite an absence of a chain of custody for evidence it received, diminishing their probative value. The US rush to war without even awaiting an incomplete and questionable investigation as carried out by the OPCW-UN JIM in 2017 - indicates that the United States is not interested in, and possibly even attempting to obstruct the truth. Not only are the chemical weapons cited by the US ineffective relative to the conventional weapons Syria and its allies have in their possession, the use of chemical weapons in military operations against an all but defeated enemy - considering the political costs of doing so - would be inexplicable. The US government and the Western media have resorted to assigning essentially cartoon villain motivations to the Syrian government in an effort to explain why - on the verge of victory in Syria - the Syrian government would risk justifying a long sought after US military intervention against Damascus itself. 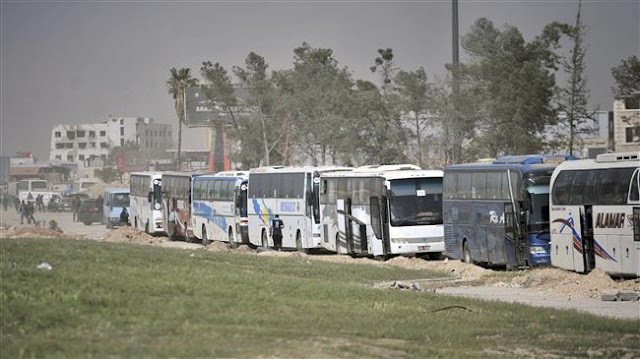 Making it even more inexplicable for Syria's government to have deployed chemical weapons at this of all junctures - was the recent announcement by US President Donald Trump of interest in withdrawing US troops from Syria. Included among the US policy think-tank's schemes was the description of a deception similar to the one likely playing out in Syria. ...the most salient advantage this option has over that of an American air campaign is the possibility that Israel alone would be blamed for the attack. If this proves true, then the United States might not have to deal with Iranian retaliation or the diplomatic backlash that would accompany an American military operation against Iran. 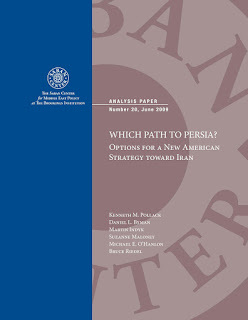 It could allow Washington to have its cake (delay Iran’s acquisition of a nuclear weapon) and eat it, too (avoid undermining many other U.S. regional diplomatic initiatives). The US - since the end of the Cold War - has established a unipolar international order that serves the interests of US corporations and financial institutions and those of Washington's allies. In a bid to preserve its primacy, the US has pursued a policy of encircling and containing potential competitors - most notably Russia and China. It has done this through economic pressure, covert regime change, overt military invasion and occupation, or usually a combination of all three. Reordering Eastern Europe, the Middle East and North Africa, Central and Southeast Asia over the past two decades was meant to provide America with a united front of client states to wield against a reemerging Russia and a rising China before eventually folding both into its international order as well. However, these efforts have mostly failed. Technology has bridged gaps in economic and military power the US and Europe had previously exploited to achieve centuries of global hegemony over the global East and South. 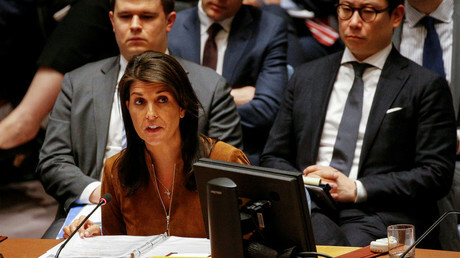 The US now finds itself mired in a protracted conflict - so far unsuccessful in not only toppling the Syrian government, but also floundering on secondary objectives aimed at Balkanizing the country. While a US withdrawal from Syria on its own terms will all but admit the end of American hegemony in the Middle East, should it remain and still fail - it will not only accelerate the emergence of a multipolar world order - but one in which the US finds itself an impotent pariah. The US - clearly having failed to sell its case to the global public - may simply launch a limited strike as it did in 2017. 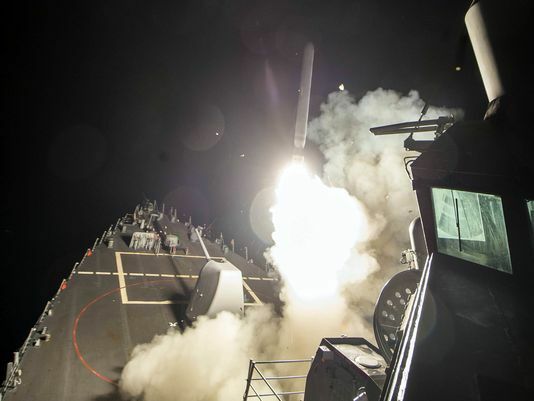 The strikes will do little to change the trajectory of American foreign policy objectives and their ultimate failure in Syria. The operation - likely to kill Syrians and even possibly Russians and Iranians - will tentatively provide the US with an opportunity to save face in the wake of its recent and increasingly reckless bluster. Syria and its allies will likely weather the attacks - if limited - as they have before, attempting to avoid the desired, wider confrontation the US seeks and letting the clock run out on Washington's failed proxy war. However, US policymakers may believe that the window of opportunity for the US to reassert itself as global hegemon has yet to close. It may calculate that its desire to carry out a direct military intervention in Syria to finally achieve regime change is greater than Russia and Iran's willingness to risk direct war with the US to stop it. The US may also be reckless enough to calculate that a limited confrontation directly with Russian assets in Syria would allow Washington to reassert itself in a much more dramatic way - with Russia not willing to escalate the conflict beyond the region. The US may even be willing to sacrifice US warships, aircraft, and ground bases during the ensuing conflict to achieve this goal - believing Russia will limit retaliation to the immediate theater of conflict. 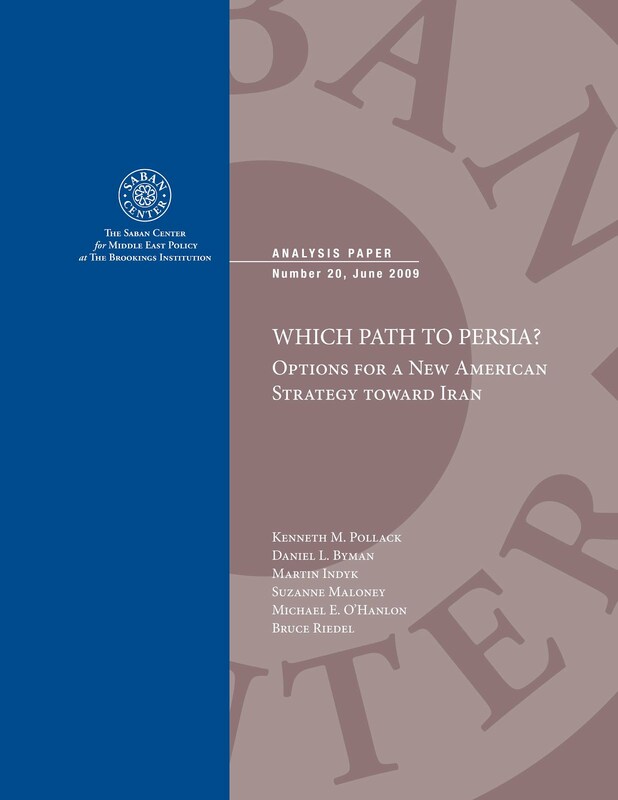 However the possibility of these incredibly risky options spiraling out of control and quickly involving Saudi Arabia, Turkey, Israel, Lebanon, Iraq, and beyond would hopefully make such opinions all but inconceivable - even for increasingly desperate US policymakers. Syria and its allies have attempted to provide the US with multiple, graceful exits from its failed proxy war. However, it is not the need to save face that now drives US persistence in Syria - it is the fact that withdrawing from Syria now will signify to the world an accelerated, irreversible decline of the American Empire.